Need a group meal while you are in Fisherman’s Wharf ? 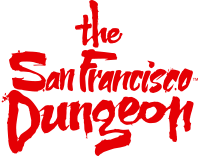 The San Francisco Dungeon has partnered with Applebees and Rainforest Café to bring great combo packages to you! Please ask us for details!